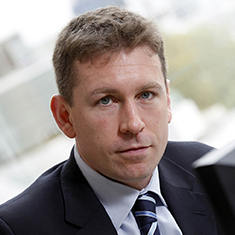 Joe Payne, a partner in Katten Muchin Rosenman UK LLP, is a commercial litigator. He acts primarily for commercial clients across a range of sectors, including aviation, real estate and financial services. Shown below is a selection of Joe’s engagements. Provision of advice to an aircraft leasing company on English security, enforcement and insolvency issues. Provision of advice to an aircraft manufacturer on English insolvency and enforcement issues arising from a sales agreement with an airline. Representation of a client in the enforcement of covenants relating to valuable parking rights benefitting a substantial West End property. Representation of a client in arbitrations concerning rent review provisions in leases. Representation of a client in obtaining in England a judgment against a BVI airline company and enforcing that judgement overseas. Representation of a financial services business in securing in the Privy Council the dismissal of proceedings commenced in Gibraltar by a US trustee in bankruptcy. Representation of a hospitality business in obtaining a worldwide freezing injunction relating to assets owned by an employee who engaged in theft. Representation of an individual in securing the discharge of a worldwide freezing injunction obtained in relation to an overseas property transaction. Representation of an individual in obtaining an injunction preventing a development that would breach a right of light. Provision of advice to an aircraft leasing company on an insurance claim arising from a fatal air accident. Representation in an ICC arbitration relating to an African mine.